Publishing Books that Kids Love For More than 35 Years. With engaging writing, bold graphics, and the best children’s authors, books from Owlkids are loved by parents, teachers, librarians, and — most importantly — kids! 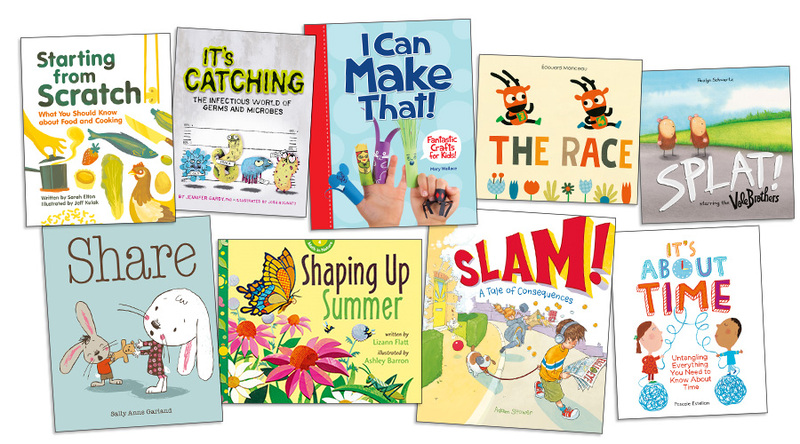 Covering a wide range of subjects, from insightful picture books to fun, creative activity books and thought-provoking non-fiction, our books engage kids with great content that makes them want to read and learn. Our books reflect and respect the intelligence, creativity, and curiosity of children, marrying substance and style in classics old and new: from Catherine Ripley’s Why? to Elin Kelsey’s You Are Stardust. Owlkids Books are sold in more than 15 languages in over 25 countries, delighting children worldwide with their signature energy, creativity, and sense of humour. Inspired by our mission to nurture boundless imaginations, books by Owlkids enrich children’s lives and inspire and empower them in all their endeavours. Learn more about Owlkids books!